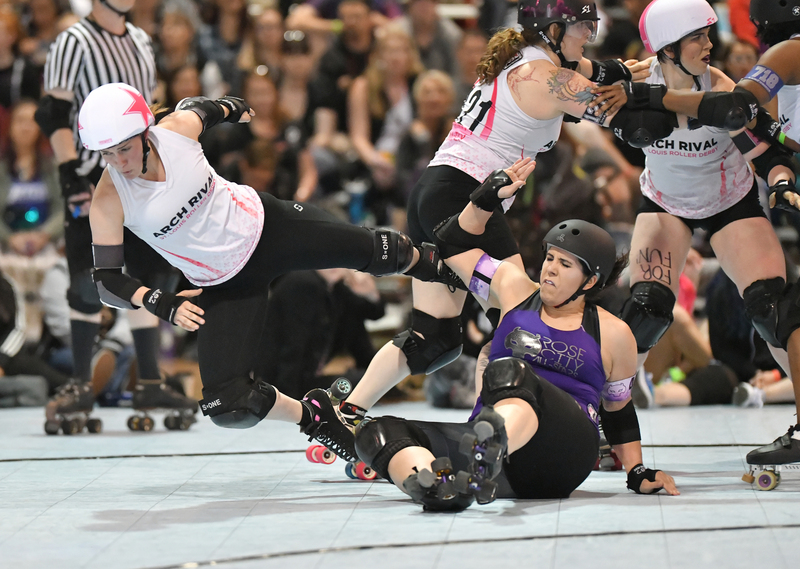 The Women’s Flat Track Derby Association (WFTDA) released their latest set of calculated rankings Monday and revealed the leagues that will appear in playoff tournaments and their respective assignments. 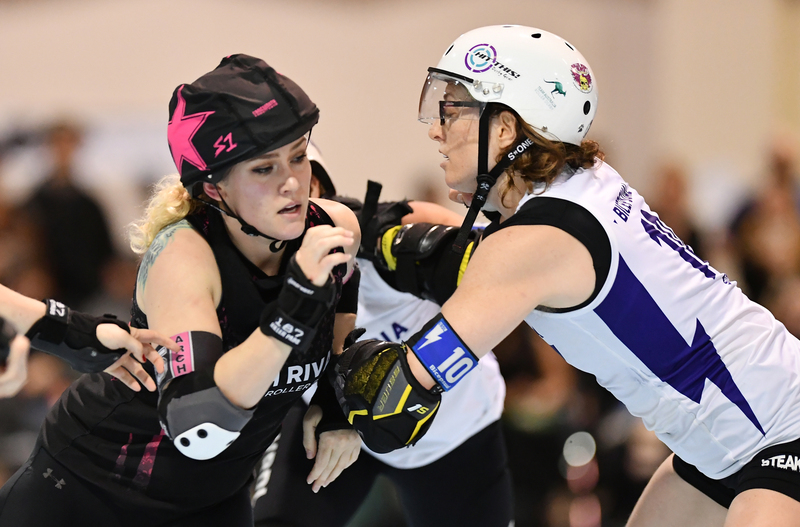 Arch Rival was ranked fifth internationally and, as a result, received the top seed in the WFTDA playoff round held in A Coruna, Spain, August 31 through September 2. As the top seed, ARCH receives a first-round bye in the twelve-team bracketed tournament and faces the winner of the #8 Philly vs. #9 Stockholm game held on Friday, August 31 in a quarterfinal contest held late in the day. 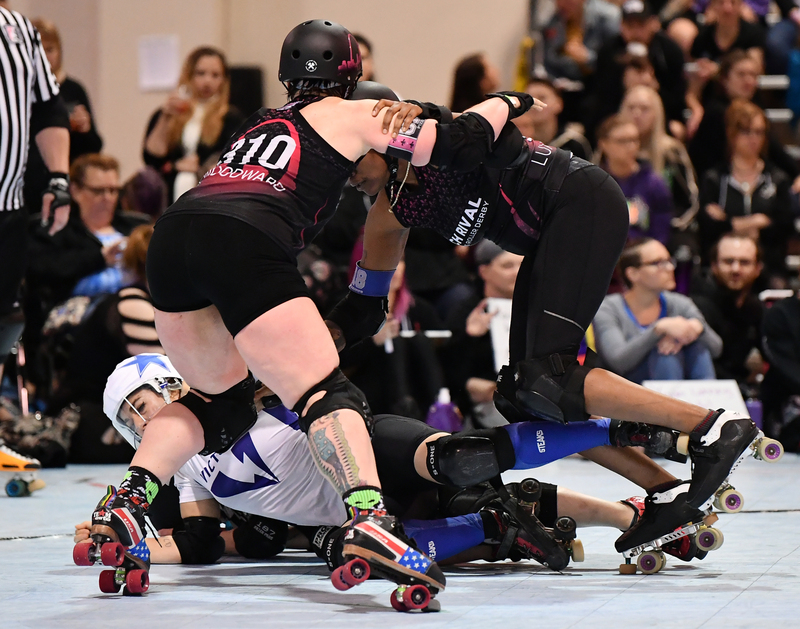 If St. Louis finishes the weekend within the Final Four, then they advance to November’s WFTDA International Championships held in New Orleans, Louisiana. Arch Rival (2-3) has appeared annually at the global finale since 2015 and has reached “Elite Eight” status the last two seasons. 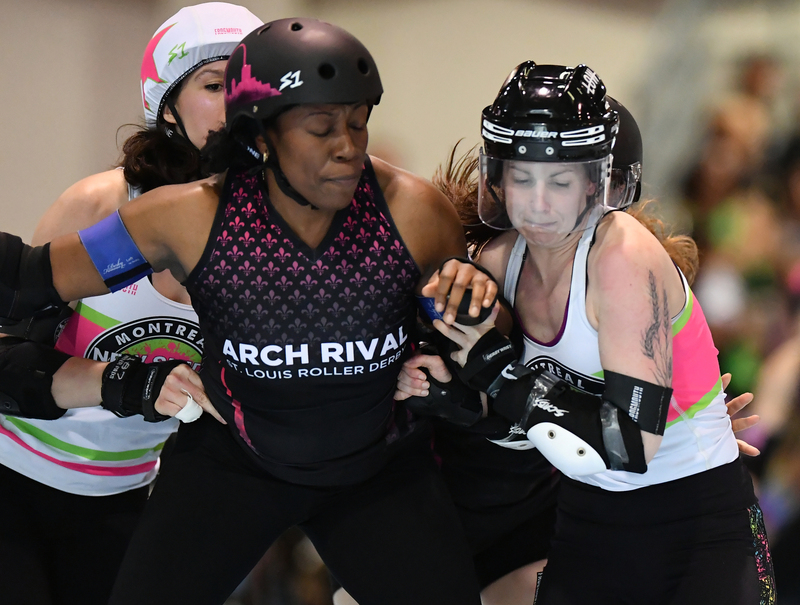 ARCH’s three losses this season were against higher-ranked Leagues: #1 Victorian, #2 Rose City and #4 Denver. As a playoff primer, Arch Rival skates at “Sweatfest 2018” held August 4-5 in New Orleans, Louisiana. At the invitational, ARCH faces #6 Texas and #11 Atlanta. 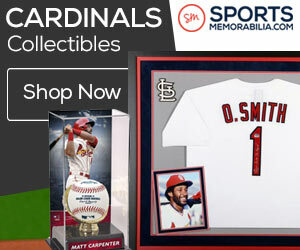 For more information on Arch Rival, go their official website.